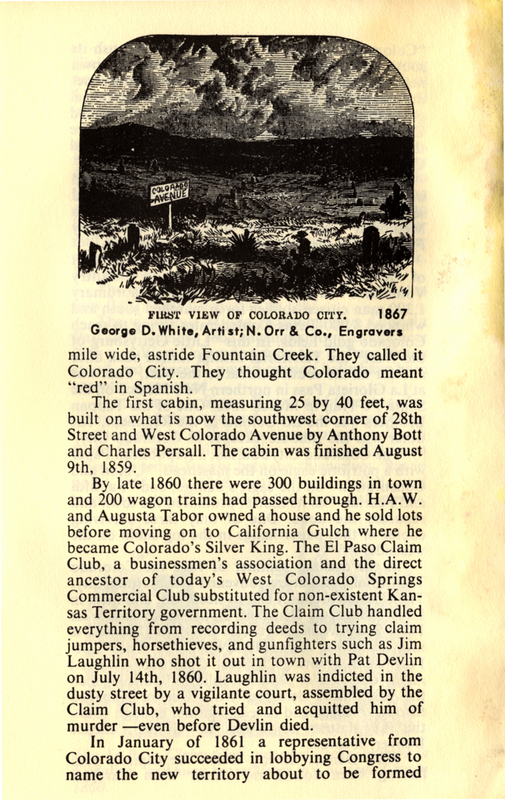 As everyone in the Society knows, the 1859 Cabin now in Bancroft Park was not originally placed there. In fact it resided in two previous locations. 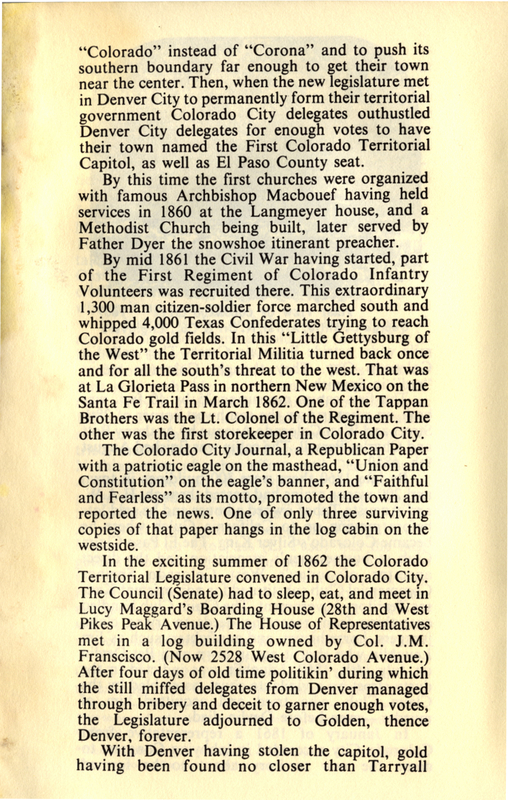 It has survived for 155 years in no small part because of the 1929 efforts of Broadmoor's Thayer Tutt to rescue it. 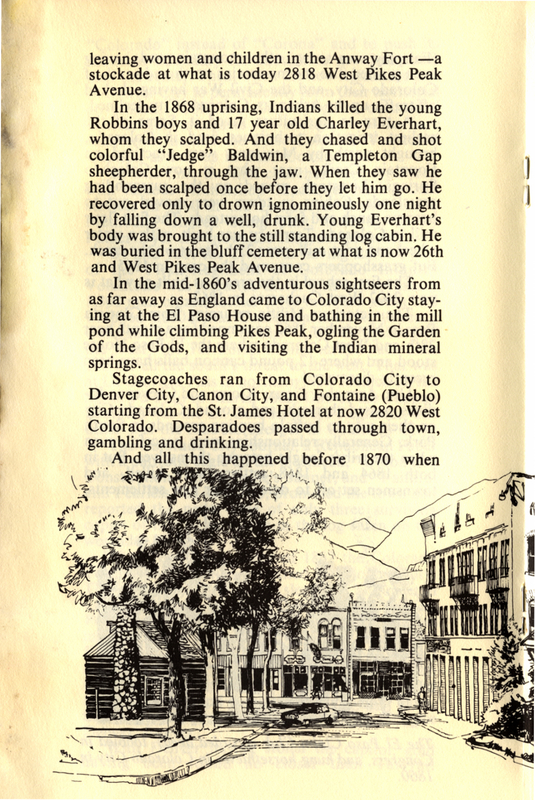 The Cabin, built by Melancothon Beach and Dr. James Garvin in August 1859 was originally erected at what today would be 2608 West Colorado Avenue – 3 doors west of today's Ice Cream store. 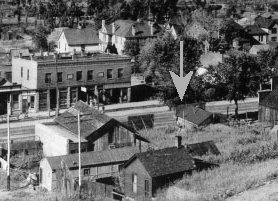 It was first Dr. Garvin's home and doctor's office. 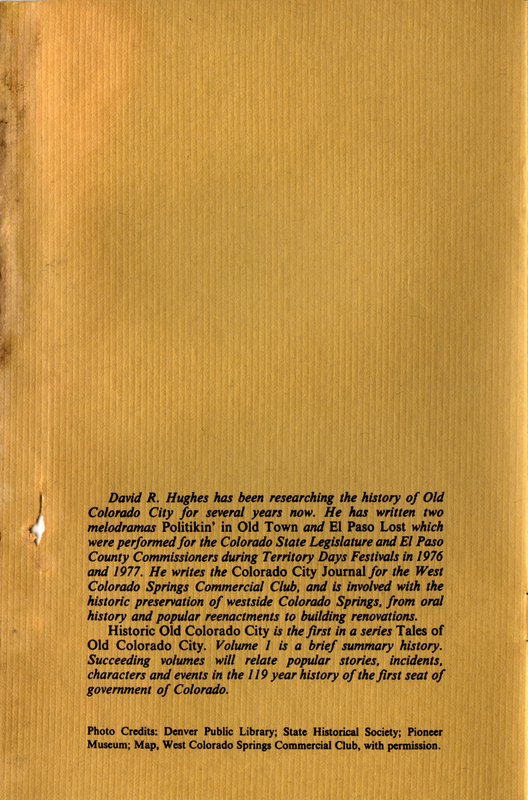 Then, in 1868 it became the office of the El Paso County Recorder after Irving Howbert was elected to that office because it was warm enough in the winter that the ink would not freeze in the ink wells – as it did in his first office in the unheated back room of the frame Tappan Store at 2802 West Colorado. 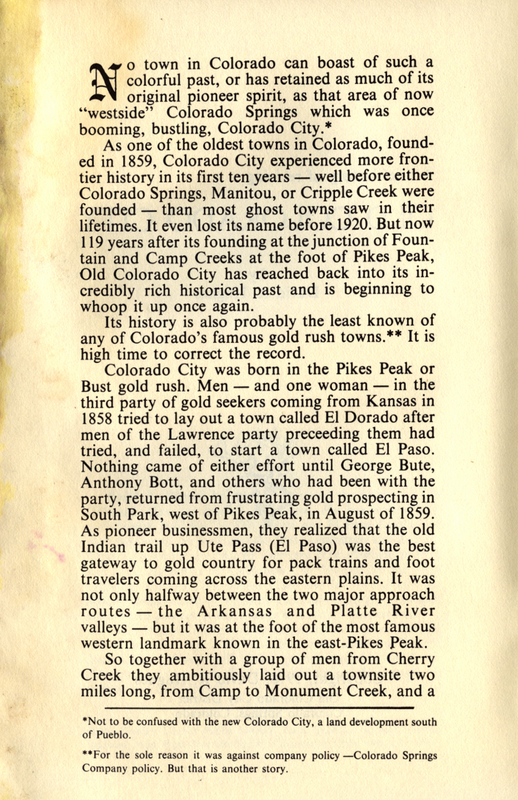 Irving Howbert's Memories of a Lifetime in the Pikes Peak Region published in 1925 and reprinted in 1970 is being presented here in digital form. 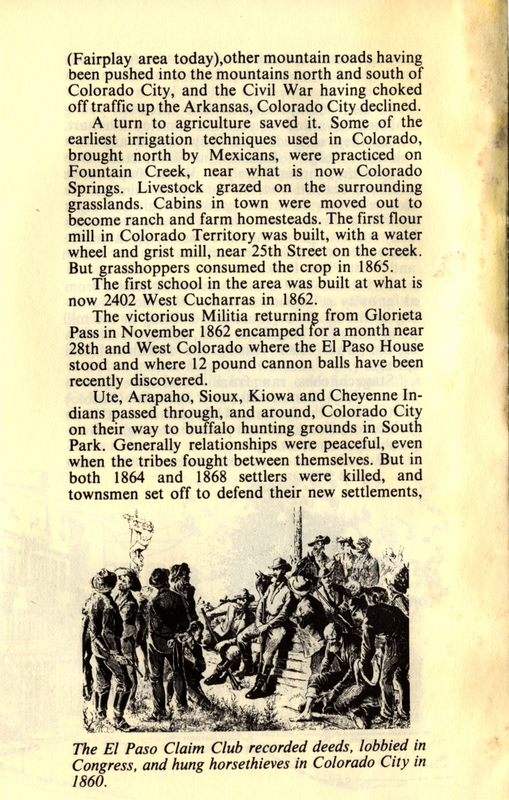 Click HERE to read and learn about this excellent, historic book. 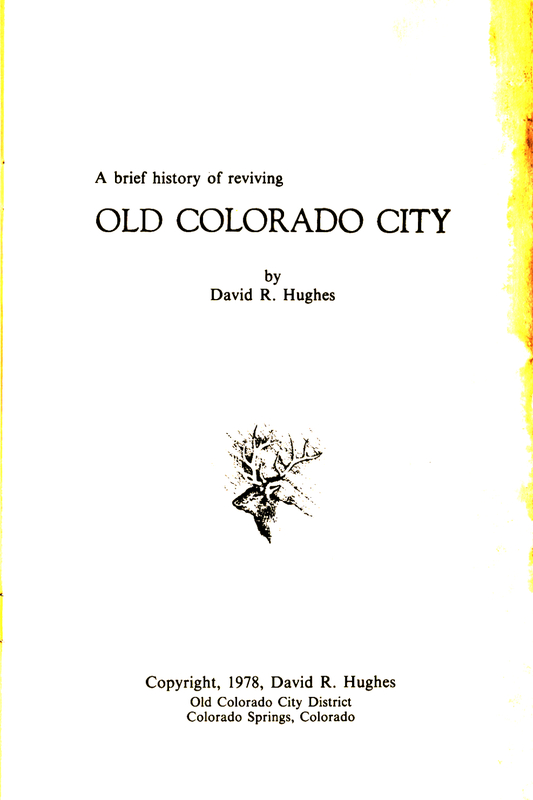 Historical stories, information, recollections of Old Colorado City and The Pikes Peak Region as sponsored and compiled by Dave Hughes.